Heather is a Health Coach and Nutrition Expert based in South Florida. She holds a masters in Education from Florida Atlantic University. 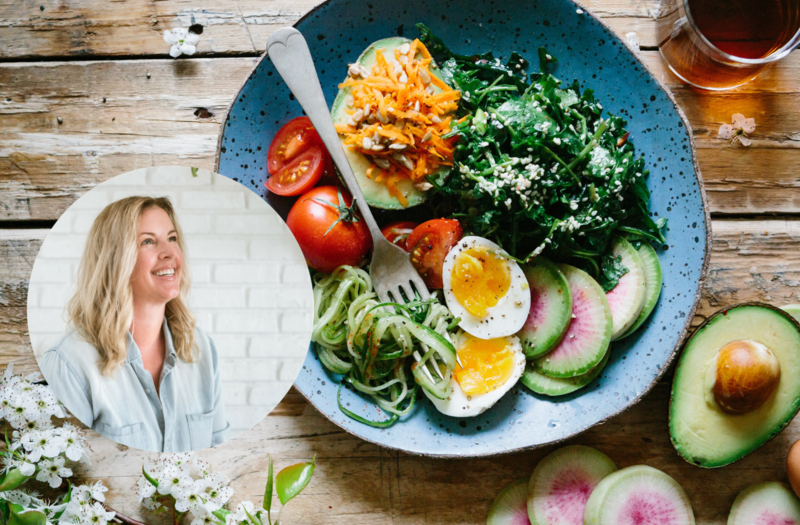 Heather specializes in whole food-based low-carb/keto nutritional approach for men and women aged 40+ who are ready to change up their nutrition & make meaningful changes to their health & wellness. Heather has been writing, coaching, and creating wellness programs over at her health & wellness website, Thrive In Midlife at www.hbeardsley.com since 2012. Heather has an unwavering belief in her clients highest potential. She has been able to help hundreds of her clients and readers lose weight and reclaim their vitality, energy and most importantly help her clients feel like themselves again. At age 41, Heather faced premature menopause, unexplained weight gain, and severe adrenal fatigue. Frustrated at her doctor's traditional advice to accept debilitating hot-flashes, chronic fatigue, sleepless nights, amenorrhea, and to just eat less and exercise more in order to lose weight, she dove into the latest research on insulin resistance, ketogenic nutrition, and longevity science. Using a holistic approach, she systematically reduced her chronic stress, reversed her menopause, balanced her hormones, lost eighteen pounds, and reduced her fasting blood sugars from 145 to 93 after she began eating a ketogenic diet in 2016. After sharing her results and knowledge with her community, Heather began coaching her friends and family with incredible results. Soon after, she pursued certifications in fitness nutrition and health coaching, and her professional coaching practice began. Heather has created her own keto 101 class for beginners, along with her own monthly and individual nutrition coaching programs. She also provides meal planning, food preparation, shopping field tips, and pantry/refrigerator remakes to her local clients. The mom of two teenage boys, Heather understands the demands of family and professional life. She works with busy Moms and Dads to help organize their time, and implement systems and structures into their days in order to prioritize healthy eating habits and fitness with demanding work and travel schedules. Heather provides one on one phone coaching to individual clients based anywhere in the United States. She also gives health and wellness talks and presentations to tech, finance, gyms, and organizations in the South Florida area. Beyond nutrition coaching, Heather also provides her clients with the organizational systems to make meaningful changes in her client's lives – whether that be as simple as getting their closets organized to helping her clients implement larger goals like committing to lifelong fitness and strength goals or helping her clients with life coaching get back on their A-game in their corporate professional lives. You can find all of her offerings at www.hbeardsley.com.